LoveUMarketing » Earn Money Online » SEO Tips » Why Do You Need SEO Experts While Developing A Site? The way SEO experts work on websites has evolved in every few months ever since SEO has been in practice. And now the current trend is user preference oriented site theming and content designing. The current trend is not to blindly follow the rules set by search engines. Instead, it’s about abiding the search engine follow decorum while thinking about giving users a much better experience. And here are discussed some of the best ways SEO experts today are implementing for making webpages user-friendly. Queries define the search results. A user puts a query through a keyword, which makes the search engine surf through the webpages in its directory. The most suitable result gets displayed in the hierarchy of the most appropriate search on the top, followed by the rest as per appropriateness. If you learn to understand what your users would search for, and what kind of queries they may put, then you can arrange and frame the content in the sites as per that. You can figure out the best keywords and key phrases in that way. The site would then be much user-oriented and can be the apt result against a keyword. Users are not all the same. Some would query for a thing in an informal way and with vague words. And some would define their searches better with elaborate key phrases. For example, a user may query ‘queen bed,’ but this would not define if the user is looking for queen bed buying tips, or about queen bed facts, or designs, or wants to buy one online, or looking for furniture shops locally which sells them. The two words are not enough to deliver all the information which are locked in the mind of the user. But if your website meta tag and description have the detail, which elaborates what are you sharing in your site about the queen bed, then of course users who are looking for that kind of information only would visit. And this will help you avoid such visits where users would get disappointed. That’s because visitors would come after reading the site description in the search result, thereby realizing why they are visiting your site. The modern SEO experts look into this matter seriously. These days SEO experts do not just target sites to be on the first page and first position. They rather target the sites content to be chosen for Google snippets. This means, the Nashville SEO experts try to ensure that the site content contains valuable data, which can serve for those answers which users look for online. And to do this, you must know what users look for. There are several related questions on a topic, which users look for online. And Google snippets scan for answers to those questions in various sites and brings those answers in small snippet form to the users on the search result page of Google. If a site gets highlighted once for showing a relevant answer through snippets, then this also is a great way to gain recognition. This works much better than ranking in number one, because providing a reliable answer actually makes the site a good author link for users, and users start believing in the rest of the content of the site too. A lot of things affect the page loading speed of a site. And even if the page loads not all contents and elements in a page gets visible all the time instantly. There are many such sites, where contents take time to load one by one, and you feel impatient about when you would see the whole page in the proper form. The work of the SEO agency is to look at this problem and see that the webpage does not load slowly. Users are really busy and impatient these days. They would not wait seconds for a page and would skip to the next result on the search engine results page. That is why you have split seconds time to get to the user and impress. And if the site speed comes in the way, then all the effort given on SEO would get almost nullified. Hence, to ensure that your rank or visibility on snippets helps you get real traffic, you must have a good site loading speed, and all site contents must load at once. For this, the many factors which affect speed must be checked one by one. The interface of the site must not look puzzling. If the content is spread across a large area, too much content looks scattered here and there, and the eyes get overwhelmed at much elaborate, detailed and lengthy content all over the site, then your users may feel puzzled, stressed, overwhelmed, and get scared to explore. To avoid this, a very minimalistic site design must be planned. Users must feel comfortable with moving their eyes over the site contents, and should not feel like they have too much to study without a clue of where to start and where to end. Site navigation is a big and vital part of the user experience. Your website must have a good navigation system, and users anywhere on any page should be able to find their way to other pages, without having to fumble. For this many SEO experts advise using sticky header menus, which would always be there visible. In an attempt to give SEO the best shot, you must look into several aspects of site making, design, content development, etc. And it is best if you can consult an SEO expert before you even start planning the website. 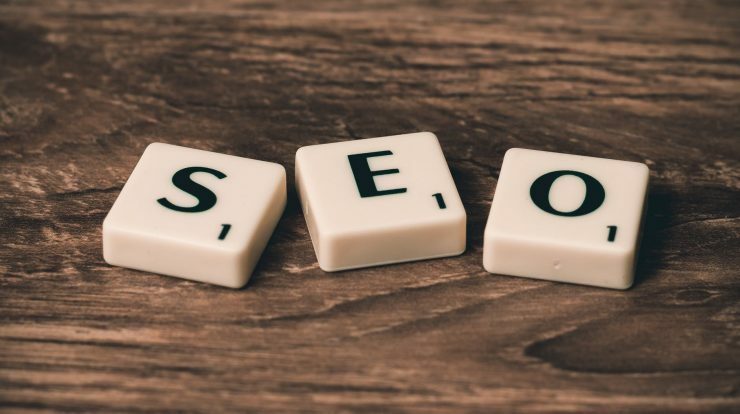 If you plan the site from scratch under the guidance of an SEO agency, then chances of developmental errors can be minimized, content can be developed with the best keyword usage, and you can get great results from SEO sooner.